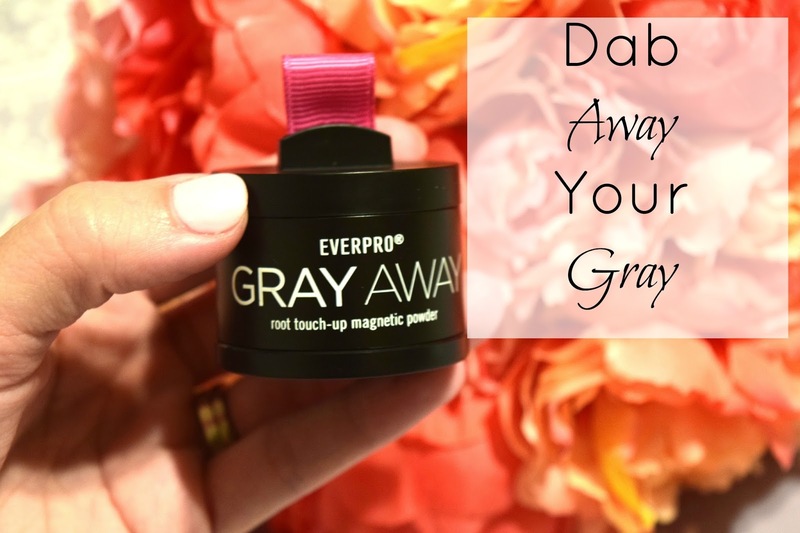 Cait's Cozy Corner : My Dirty Secret: Dabbing Away Your Gray! 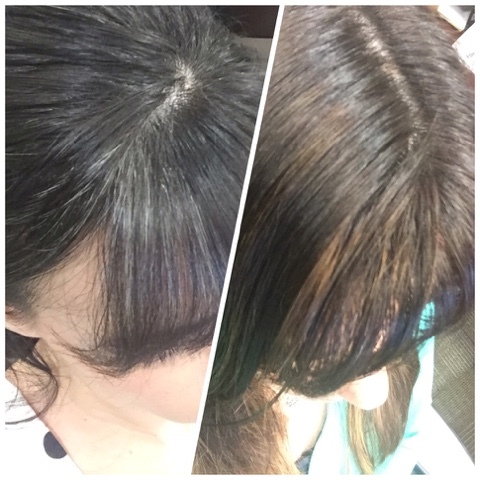 My Dirty Secret: Dabbing Away Your Gray! Well here’s a dirty secret I've been meaning to share but was always terrified too. I have gray hair. That’s right friends. Sure enough around my early twenties I noticed some gray strands pop up. Now that I’m approaching 30, my lovely gray spot has now turned into a small section in the front of my right side. Needless to say, it’s just in this one section but I couldn't stand to look at it anymore. Zach calls it my Rouge strip like in X-men. Sweet huh? Sure, the trend right now is gray hair ( HUH!? ) but with someone like myself who has almost black hair, I hate that it’s so noticeable. Thankfully, instead of paying hundreds of dollars every 6 weeks to go get it done professionally, I can use this amazing spray that costs a fraction of the cost and takes seconds to apply. Introducing, GrayAway. A simple can designed to temporary conceal your roots in a faster way. It doesn't contain dyes but it does contain mineral derived pigments. Everyone can use it as well, even if you're pregnant! For this review, I was asked to sample an instant gray powder. This magnetic powder is an instant solution to get rid of my unwanted gray roots. The formula attaches to my hair strands providing great coverage. I also love that it's a perfect travel size to fit in my purse when I'm traveling or need an extra touch up in the office. It leaves my hair soft, natural and shiny. I also appreciate how easy it is to use! In the picture it has a bit of green pigment but look closer and you can see it's a pretty dark brown. My hair usually clean and dry which makes it easier to stick. 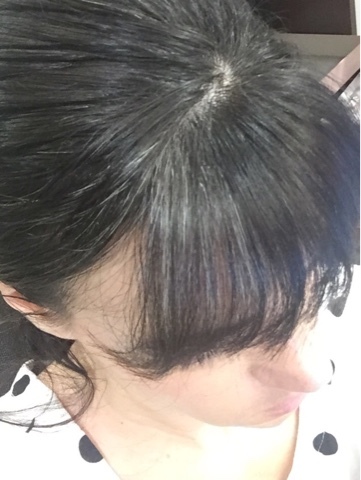 Using the sponge applicator located at the bottom of the base, I sweep a small amount of powder over my gray roots starting from my scalp and than working outward. Since this isn't a temporary solution, the powder does rinse out when added with shampoo but I only have to do small touch ups to make sure everything looks even with my hair. Want to save 20% on your purchase? Use code NOGRAY20 ! This product is one that I'll be using over the next few weeks before I need to go in for another touch up to my roots. I'm so happy to always have this on hand! Spill the beans! What's a dirty little secret you have? Has anyone ever commented on your gray hair? What a cool little product! I am not dealing with any grays yet, but this is totally something to keep in mind when pesky little ones inevitably start popping up!